I'm a certified breastfeeding pinay, meaning from day 0 until today pure breast milk ang iniinom ni Rhian and since I'm back to work yesterday, I make sure to pump every 3 hours at our office. 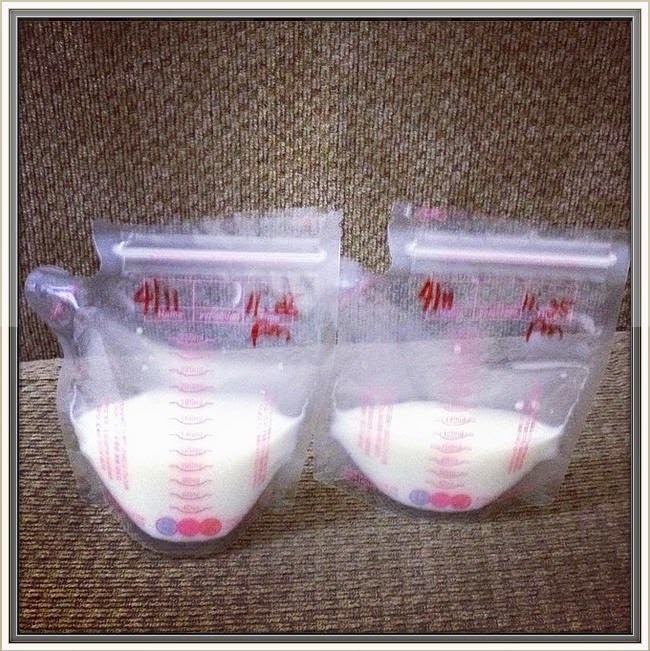 So here are my freshly breast milk, pasalubong for my little princess. Thank you Lord for giving me more milk, please continue to give me supply for my daughter.